Hygienic, safe, preserves food freshness. Conforms to Sanitation Standard for Food Utensils, Containers and Packages of Taiwan. 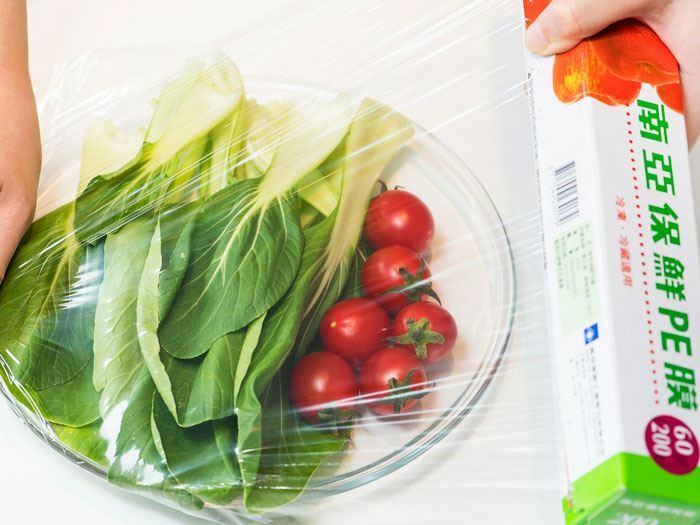 The household PE Plastic Wrap manufactured in the Taiwan Plant conforms to the Sanitation Standard for Food Utensils, Containers and Packages of the Ministry of Health and Welfare, Executive Yuan. The materials used in production are compliant with national standards and no plasticizers were used. Curved cutter design, allows easy tearing. The product has a curved cutter design that allows easy tearing and prevents tangling to ensure ease of wrapping. 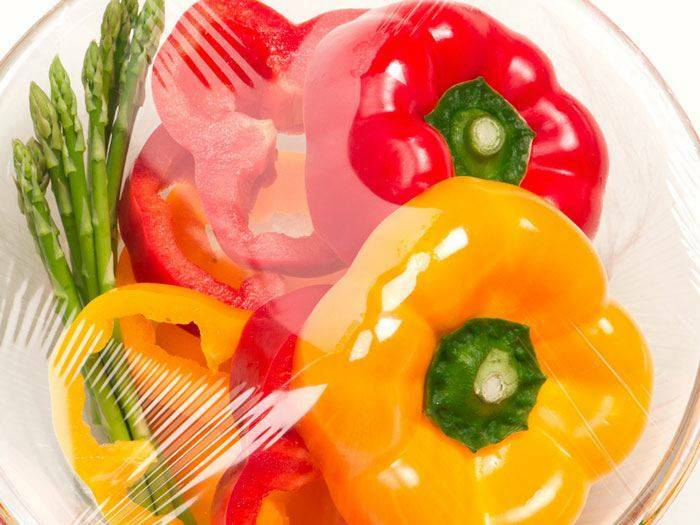 Users may cut and wrap food easily without using excessive strength on tearing. 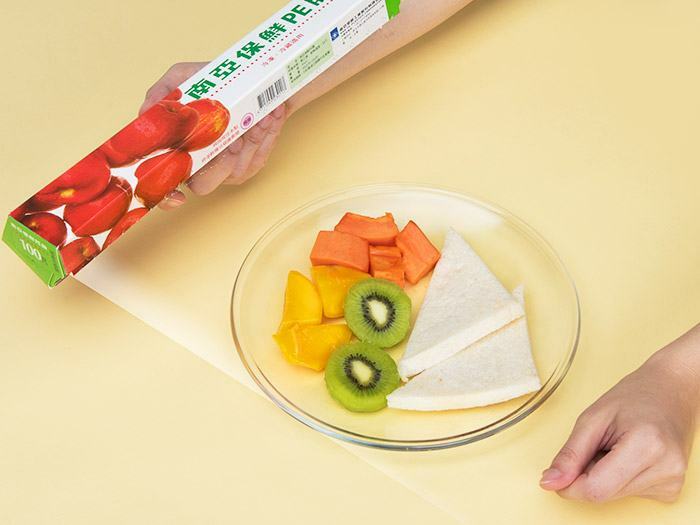 Nan Ya Plastics Wrap features automatic dispersion of water droplets on the film to ensure clear visibility and perception, easy observation of food freshness, improving consumer impression of the goods. Excellent cold resistance and softness, allows secure wrapping. Maintains softness and ductility at low temperature storage, allows complete wrapping without issues of curling or non-sticking. 1. Suitable for use at room temperature or in refrigeration. 2. Not recommended for use in microwave ovens or in direct contact with food at high temperatures.